Here’s your phrase for the day, no matter what day you happen to encounter it: “feline sternutation.” It means “cat sneezing.” Impress your friends and family! Get bonus points at your local trivia night! Cat sneezing can be attributed to a number of causes, the most common ranging from irritants to allergens to viral infections. 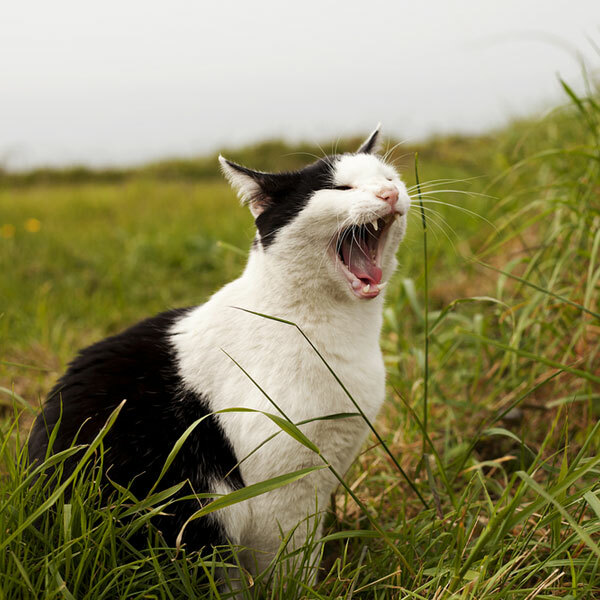 Here at Catster, we’ve looked broadly into the most frequent reasons why you might have a sneezing cat. We are pleased to share the results of this research so you can find relief for, or limit the recurrence of, cat sneezing. For your convenience and as a kind of overview, here are some general rules of thumb if you find yourself puzzled and perplexed by cat sneezing. 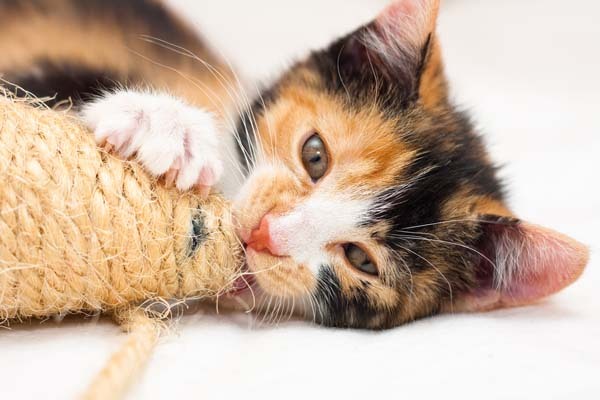 On the other hand, if there is any kind of discharge or expectoration from the eyes or nose, your cat may be suffering from a viral or bacterial infection. In these cases, isolate the affected cat from other feline friends, find your cat carrier, and get thee to a veterinarian. A third measure is to check your sneezing cat’s mouth; bad breath and sneezing might indicate a dental issue. Let’s take a closer look into each of these scenarios! Why is my cat sneezing? Irritants! 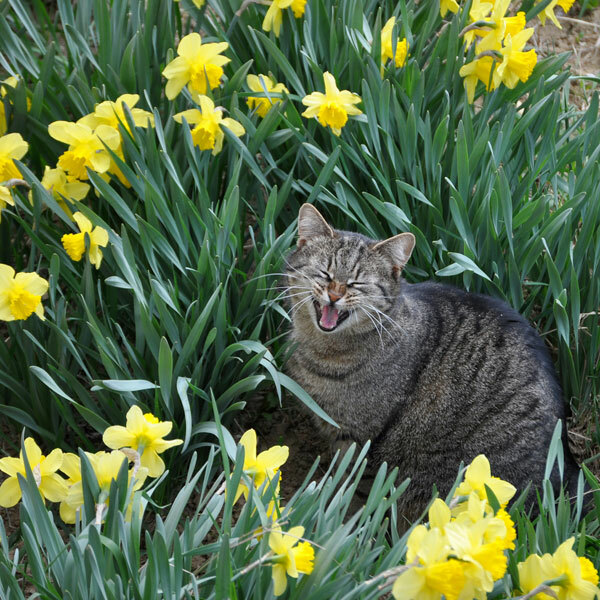 Some sources list allergens as a potential cause of cat sneezing; our research shows that allergies in cats tend to express themselves a bit differently than they do in humans. Coughing, diarrhea, excessive scratching, swollen paws, and vomiting are more likely signs of allergies than a cat sneezing a lot. That said, there are any number of possible irritants in and around the house that could cause cat sneezing. Examine your cat’s frequent roosts and favored perches. 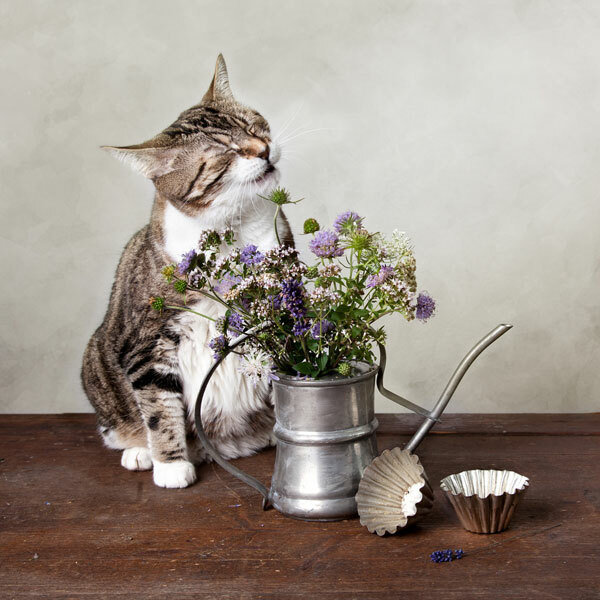 Aromatic candles, dusty cat litter, cleaning products, dust and dust mites, flea medications, food, insecticides, mold, perfumes and colognes, pollen, smoke from pipes, cigarettes, and incense burners, and even certain vaccinations may cause cat sneezing. Any kind of particulate or vapor that can find its way into a cat or kitten’s nose can cause cat sneezing. Cats with flat faces or shorter muzzles, such as the Bombay, Himalayan, Persian, Selkirk Rex, Scottish Fold, and the American, British, and Exotic Shorthair, are at higher risk of irritant-related sneezing, simply because their nasal cavities are smaller in volume and less tolerant to irritation. As with humans, cat sneezing is an immediate physical reaction whose purpose is to expel irritants. Two major viral infectious agents that cause cat sneezing are feline calicivirus and feline herpesvirus. Both present with similar symptoms, sneezing accompanied by discharge from the eyes and nose. The feline calicivirus may also bring with it fever and ulcerous lesions in a cat’s mouth or on a cat’s tongue. Generally, the calicivirus is a milder infection, and symptoms may pass on their own within a couple of weeks if complications, like secondary infections, do not occur. Feline herpesevirus causes viral rhinotracheitis, also known as the cat flu. It can cause ulcerous lesions as well, though these are normally around the eyes. 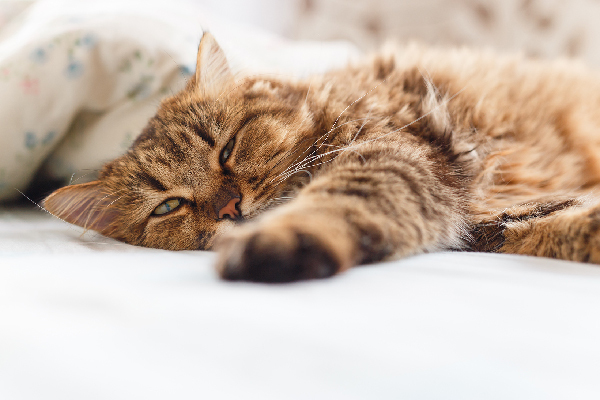 Both viruses are highly contagious among cats, making multi-cat households, shelters, and boarding facilities places of highest risk for infection and transmission. If your cat is sneezing and has particularly bad breath or swollen gums, the cause may be a dental issue, like tooth decay. 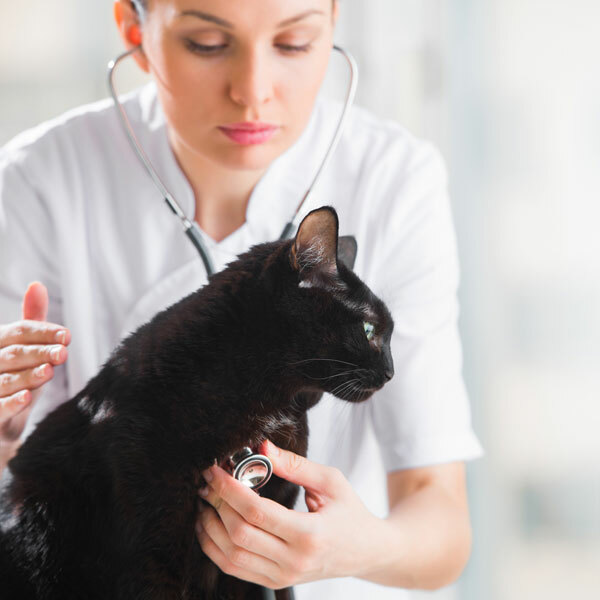 In each of these cases, if your cat keeps sneezing, and has any sort of secondary issues, be it discharge from the eyes, nose, or mouth, a timely visit to the veterinarian should be your first plan of action, particularly if you have more than one cat in the home. Viral infections are most common among kittens, older cats, and those with immune system deficiencies. 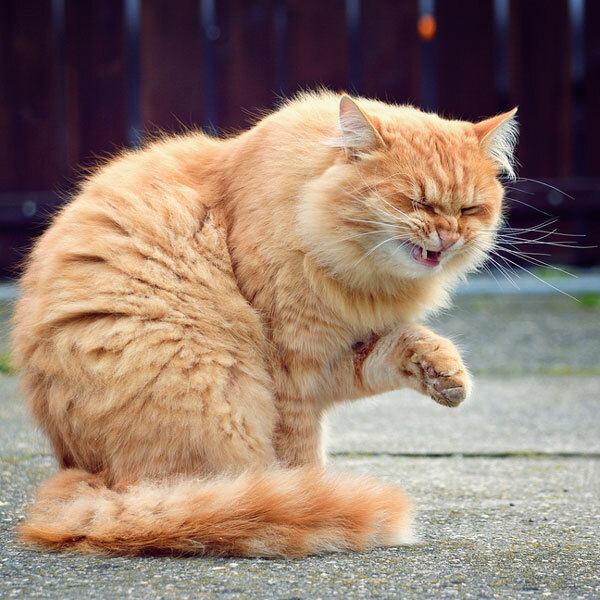 If your cat sneezing is intermittent or occasional, and there are no secondary symptoms, check around the house for the presence of irritants or potential allergens that could be the root of your cat or kitten’s reaction. In the main, vaccination and boosters for kittens and cats are your best bet to lessen the impact of viral infections. The FVRCP vaccine, normally given over the period of 12 weeks or so, is a combination shot that will mitigate instances of cat flu, calicivirus infections, and panleukopenia (or feline distemper). It’s recommended that a receive annual boosters. 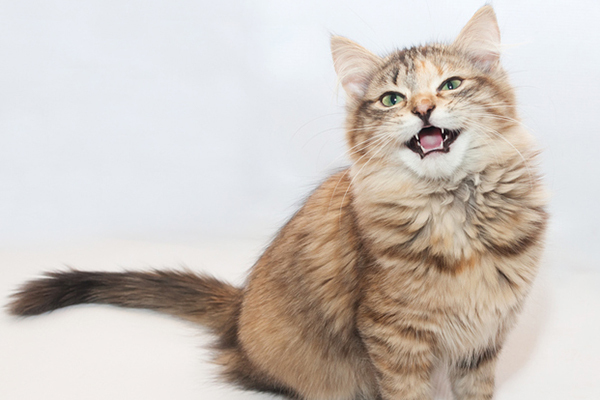 How have you handled cat sneezing? We’ve all seen cute videos on the Internet that show how adorable cat sneezing can be to us, even though it is certainly an annoyance to cats. Do you have a sneezing cat? Were you able to ferret out the cause if it was an irritant? 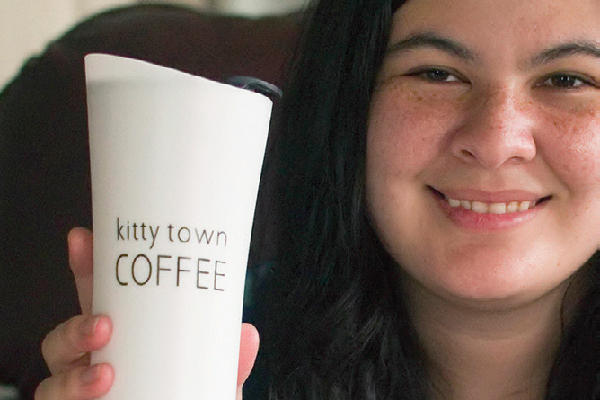 What kinds of household goods do you find your cats and kittens react to? Share your experiences so that all cat lovers can be on the lookout and keep our kitten and cat friends as nasally healthy as possible. Let’s try, as much as we can, to keep cat sneezing on YouTube!